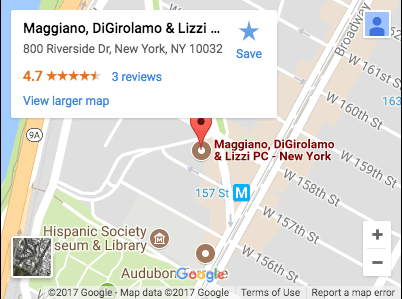 New Jersey Asbestos Related Injuries | Maggiano, DiGirolamo & Lizzi P.C. Beginning in the 1930s, the use of asbestos in industry and construction increased dramatically. Asbestos was incorporated into tens of thousands of products including construction materials, brakes, ovens, electrical panels, heat and electric generating equipment, piping, gaskets and even ironing board covers and cigarette filters. Before OSHA was enacted in 1972 it was almost impossible to work in heavy industry or construction and not be at risk of asbestos exposure. There are many different types of illnesses and conditions you can develop after being exposed to asbestos. Asbestos exposure can cause a scarring of the lung disease known as asbestosis, pleural disease, lung cancer, GI cancers and mesothelioma. These diseases may take up to 40 years to develop from the time of first exposure. Mesothelioma is particularly worrisome as it takes very little asbestos exposure to cause this disease. Mesothelioma may develop not only in workers but in family members as well who lived in households contaminated with asbestos brought home on clothing or from asbestos products used in the home. If you or someone you love is diagnosed with an asbestos related injury you may be entitled to significant compensation from the manufacturers and suppliers of asbestos.